Get crazy with these new jumbo wacky 54” animal inspired floats. These Laugh Out Loud floats will put a smile on your face. 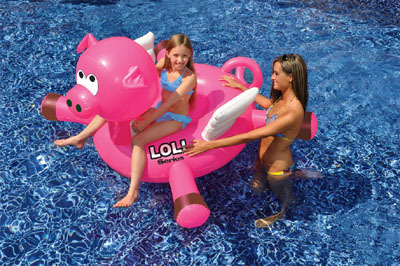 You can ride the waves on the backs of your favorite critters, the pig or the cow, for hours. 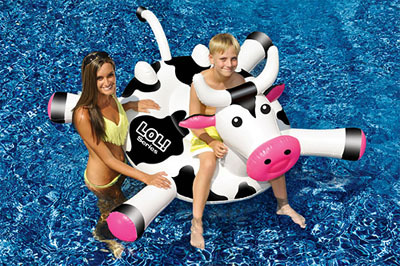 Constructed of durable vinyl with 2 sturdy handles, these characters are sure to keep you afloat all summer long. Two hilarious styles to choose from.